Please Note: The telephone booking serivce must be used for commercial vehicle, freight, transit van, coach parties and groups larger than nine persons. Regular car and passenger ferry tickets can be booked by telephone or by using the secure online booking form below that is specifically designed to find you the lowest available passenger fare. 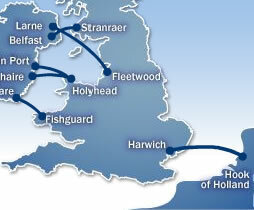 Or click here to take advantage of our new lowest ferry ticket fare finder comparision service.